News flash–$5000 goes to the winner of Glamour Magazine’s “My Real-Life Story” essay contest. Essays of 2500 to 3500 words are due by August 15. Find out more here…. A notice about the contest on About.com says, “A panel of judges made up of published authors will judge the entries on the basis of originality, voice, flow and overall feeling.” It’s nice to know what’s on the test. 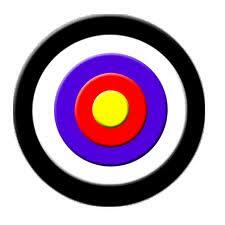 Can you hit the target with YOUR true story, well told?